These are the members of Feasta’s climate group who have set up this website. To take this project forward we’ll need a broad and widespread network of partners. We see ourselves as the first members of a steering group which will retire once the project is up and running. If you’re interested in participating, please contact us. John Jopling. 30 years practise as a Chancery barrister in London has enabled John to help establish new institutions to meet needs at various scales, ranging from a village housing association to meet a local need for social housing, to the London 21 Sustainability Network to help communities work together to implement sustainable development in London. John also helped to found FIELD the Foundation for International Environmental Law and Development and Feasta the Foundation for the Economics of Sustainability. Publications include two Feasta Reviews, edited jointly with Richard Douthwaite, the Schumacher Briefing Gaian Democracies, written jointly with Roy Madron and a chapter of Sharing for Survival: Restoring the Climate, the Commons and Society. John’s contribution to the idea of a global Cap and Dividend scheme was to point out that the necessary institution to administer such a scheme can be established by ordinary citizens. Erik-Jan van Oosten studies Urban Environmental Management at the Wageningen University in the Netherlands and is a member of Feasta. During his internship he researched the Irish energy system and his master thesis is about how frontrunner companies deal with the environmental dimension of growth. Erik‘s part in the CapGlobalCarbon team is finding connections, promoting, writing letters and lay-out work. Follow him on twitter here. Mike Sandler is a sustainability and climate change professional, based in Washington, DC. He has worked with the U.S. Federal Government, cities, water agencies, air quality districts, and the faith community to create and implement programs to address climate change. Mike is co-founder of the Center for Climate Protection based in Sonoma County, California. Inspired by Peter Barnes and Richard Douthwaite, he spent several years advocating for revenues in the carbon market mechanisms of California’s Global Warming Solutions Act to be returned back to the public as a per capita dividend or share. He archives his work on carbon pricing at www.carbonshare.org, and is a contributor to Huffington Post Green. Caroline Whyte has a long-running interest in the relationship between the economy, social justice and the ecosystem. 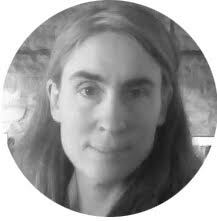 She collaborated with Richard Douthwaite on an online update of his book Short Circuit: Strengthening the economy in an unstable world and subsequently did a masters degree in ecological economics at Malerdalen University in Sweden. She has been much influenced by the work of Joseph Hanlon and other development researchers on social transfers in the Global South. Along with eight other Feasta climate group members she contributed to the Feasta book Sharing for Survival. Her chapter examines in detail ways in which the revenues from carbon dividends could be distributed. Originally from Ireland, she is now based in central France and is editor of the Feasta blog. 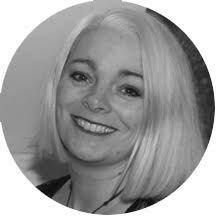 Theresa O’Donohue has been involved with the Transition process in Ireland since 2007 exploring and discovering the human systems behind energy in Ireland. She now coordinates the People’s Energy Charter at http://pecireland.eu/ which is calling for comprehensive public participation in Ireland’s National Energy Transition Plan. You can read her blog “Clearing Clutter – the ramblings of an environmental activist” at https://theresaleaf.wordpress.com/. David Knight has made a living teaching , doing research and inventing in structural and medical biology. 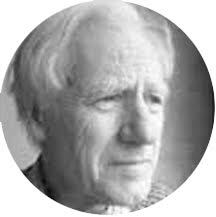 He has a parallel interest in the impact of energy use on the environment dating back to 1973 and was recruited by Richard Douthwaite to act as an advisor to Feasta on Climate Science. Currently he is the vice-chair of Winchester Action on Climate Change (WinACC). David’s interest in this stems from a love of living organisms and a hope that our grandchildren will thrive in a fairer, safer, and more sustainable planet. 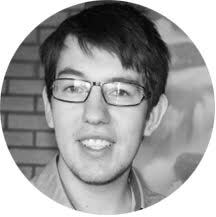 Simon Bowring currently completing his MSc in the Earth System Science group at Wageningen University, where he’s been focussing (and publishing) on the theory and modelling of the global terrestrial and marine carbon cycles. He has a prior MSc in Applied Environmental and Ecological Economics (SOAS) and hold a BA in Economics and Philosophy (UoNottingham). 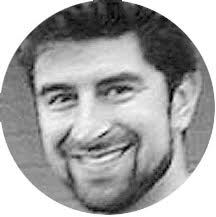 Prior to his current studies he was working in politics, journalism and travel writing, mostly in Brussels and Bangkok and has been active in social and environmental activism, most recently assisting in the set-up of The People Yes! Network.